Semi-luxurious, yet still reliable. Buying used. Price range from $7-8.5k. Looking to buy a car for college/post-college. I have two more years then I'll be working full-time. I need a car that'll get me to and from school/work (~15min drive) daily. I was looking at a BMW, but the reliability is pretty low. Currently drive a '02 Camry, but I'm not able to bring it with me to college. I'd like to upgrade to either a newer Camry, an old Lexus (dream car), or semi-luxury like a Buick or something of the sort. A Buick Verano (Opel Astra in Europe) would be the quietest car with the best ride quality in your $8,000 range with ~100,000 miles. The 2009 LaCrosse and up are going to be closer to $10,000 but provide more car for the money compared to the smaller Verano. The Buick Regal is in between but only slightly bigger than the Verano. Drive all three to find one that fits your needs. Regardless of which model Buick you choose they provide the best ride of newer modeled cars for the price. I wouldn't go with an old Buick because they have improved so much since just a few years ago. Toyota and Lexus were much better than Buick back then. Research the 2011 Camry. These didn't have problems with "excessive oil consumption" like the 2007-2009 4 cylinders did. This can cause engine failure. Otherwise, they have been very reliable and are practical cars. Also consider a Camry hybrid or Prius for better MPGs. The 2007 Lexus ES 350 was a great car. 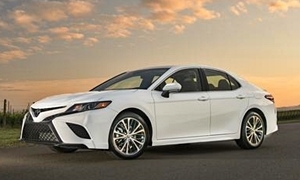 Based off the Camry platform, it was luxurious, premium, and not just a rebadged Toyota. 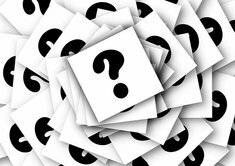 Yes, there were recalls for unintended acceleration, but they are free fixes at the dealer and most on sale already have the fix. 0-60 in 6.4 seconds, buttery smooth ride, and a silent cabin. The inlaws just picked up 2011 Camry with +50K miles and a Buick Encore as they wanted AWD. They drove the RAV4 bit it was too tinny and not as refined as the Buick Encore. Funny thing is that KKB was right on with the Buick. The Camry was not. It was almost $2,000 less on KBB. It was almost like there was a Toyota bubble of inflated prices the public had to pay while the dealerships and auctions laugh all the way to the bank. 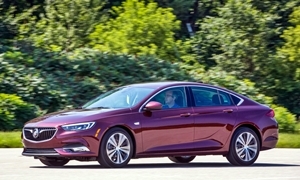 Buick LaCrosse has been chosen over the Lexus ES then.... "We're not saying the Lexus ES 350 is not a fine automobile; we're just saying its time has passed as a standard by which entry-level luxury sedans are to be measured. For that, you must consider the 2010 Buick LaCrosse CXS as the new leader in its class." 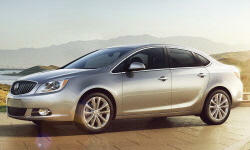 Buick continues winning comparisons to the Lexus ES. The new LaCrosses are competitive, but before 2010 they were seriously old GM and this person is looking for one for $8500 at most. 2017s start in the mid $30,000s. The lowest prices in my area for a 2010 are $12k. The 2010 was a competitive car to the ES350. The 2009 and older LaCrosses had a very dated interior reminiscent of the previous Impala which was horrible. The Buick was no comparison to the ES350 before 2010. A 2008-2010 Toyota Avalon could be a good pick, too. It's interior is old, but it was a smooth cruiser like the ES. The ES330, ES350, and Avalon are way more reliable than the 2010-2015 LaCrosses according to Consumer Reports and TrueDelta. 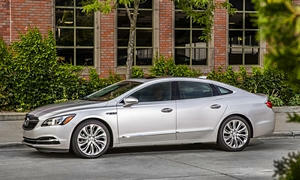 All Buick LaCrosse reliability and owner satisfaction ratings have been consistently much lower than the old and new ES. 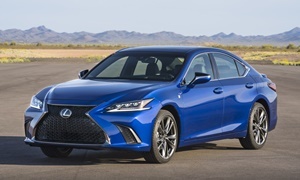 Keep in mind Camry insurance is probably cheaper than Lexus and Buick. Toyota and Buick have cheaper repair costs.